Ruth Milne Hall was born in Sydney, NSW on 6 August 1945 and was educated at Hornsby Girls High School. She received her undergraduate training at the University of Sydney with a BSc Hons degree in 1966. In 1966, she was the recipient of one of the prestigious CSIRO Junior Postgraduate Studentships. She obtained her MSc from the University of Sydney in 1968 and was awarded a Charles Gilbert Heydon Travelling Fellowship for Biological Sciences to go to the UK to do her PhD. She completed her PhD in 1971 in the Department of Molecular Biology at the University of Edinburgh. The title of her Thesis was ‘Genetic and Biochemical Studies of DNA Replication in Escherichia coli‘. In 1972, she worked as a Research Officer in the MRC Molecular Genetics Unit, Department of Molecular Biology, University of Edinburgh before coming to Melbourne. From 1972 to 1975, she was a Senior Tutor in the Department of Biochemistry, Monash University and from 1976 to 1979 was a Lecturer in the same Department. Her research interest while at Monash was mitochondrial biogenesis and genetics in the yeast Saccharomyces cereviceae in Professor Tony Linnane’s group. While at Monash, she taught in a number of different courses, giving lectures and tutorials and demonstrating practical sessions, as well as undertaking administrative duties related to the course such as preparation, supervision and marking of examinations and preparation of printed course material. She had an interest in teaching and during this period (1973-74) completed a Dip Ed (tertiary) from Monash University, a course specifically designed for teachers in tertiary institutions. In 1975, she was awarded a prestigious Queen Elizabeth II Fellowship but declined to take it up. From 1979 to 1980, she was a Research Fellow in the Department of Microbiology, John Curtin School of Medical Research, Australian National University and from 1980 to 1981 was an EMBO Post Doctoral Research Fellow at the Biozentrum der UniversitÃ¤t, Basel, Switzerland where she continued her research on the genetics of mitochondria in Saccharomyces cereviceae. She joined CSIRO’s Molecular and Cellular Biology Unit in 1982 as a Senior Research Scientist on her return from Switzerland. At CSIRO, she initially worked on a project aimed at understanding the properties of some anticancer drugs, an ongoing interest of the Unit Head, Dr Geoff Grigg, but soon switched to begin the work on antibiotic resistance that was her primary interest for the next two decades. During this period she rose through the ranks to the position of Chief Research Scientist in 1998. In 1987-88 she was a Visiting Scientist in the MRC DNA Repair Unit, University of Sussex, Brighton, UK funded by a CSIRO Overseas Fellowship. In 2003, the project on bacterial drug resistance was terminated and Dr Hall moved to the University of Sydney as an Adjunct Professor in the School of Molecular and Microbial Biosciences. In 2005, she was able to return to her research on antibiotic resistance when she was awarded an NHMRC Senior Principal Research Fellowship. 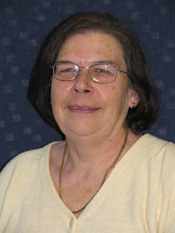 She was an Honorary Fellow of the School of Biological Sciences, Macquarie University from 1991 to 2003. In her research at CSIRO, Ruth Hall was one of the key scientists involved in discovering and characterising an important new genetic system that is made up of a stable backbone called an integron and a very large set of moving parts called gene cassettes. Integrons and gene cassettes were discovered in the clinical context, where they are very important factors in bringing new antibiotic resistance genes into pathogenic bacteria, causing the bacteria to become resistant to the antibiotics that are used to treat infections. However, integrons and gene cassettes are found in many bacteria and are presumed to play a part in allowing bacteria to adapt to changing conditions. For her role in the discovery and characterisation of the integron gene cassette system she has received several honours and awards.